Dr. Greg Witkowski is a senior lecturer in the Nonprofit Management Program. Previously he was an Associate Professor at Indiana University, where he researched, taught courses, developed the curriculum, and helped create the world’s first school focused on the best practice and meaning of philanthropy in society. Dr. Witkowski’s academic work focuses on the two largest nonprofit sectors, Germany and the United States, and the ways in which social change occurs through both private and governmental action. His current research analyzes New York nonprofit efforts in relief and recovery following the 9/11 attack. Trained as a historian, he uses historical methods to analyze and explain developments in the nonprofit sector. His publications include two books: The Campaign State, which examines state power and transformation in a dictatorship, arguing that incessant campaigning ultimately undermined the legitimacy of the government; and German Philanthropy in Transatlantic Perspective, which analyzes the development of German traditions of philanthropy in a triangular relationship with U.S. practices of giving and perceptions of global need. 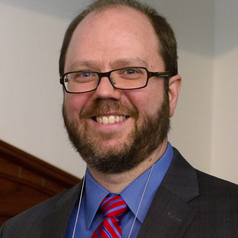 His forthcoming work includes a historical study of philanthropy and nonprofit organizations in the state of Indiana, Hoosier Philanthropy, and other community focused studies in the United States and Germany. Dr. Witkowski has taught grantmaking courses with the support of the Learning by Giving Foundation and was a long-time academic advisory board member for that organization. He has received research grants from the Fulbright Commission, Social Science research Council, American Historical Association, German Academic Exchange and Alexander von Humboldt Foundation among many others. He presents nationally and internationally on nonprofit education, disaster philanthropy, and historical lesson for the nonprofit sector. He has been interviewed in Fundraiser Magazin (German) and solicited for Alliance Magazine. He was recognized as a Young Leader by the American Swiss Foundation.